Commonly a herb eaten with roast beef, Horseradish is originally a wild herb that can be found growing on roadsides (if you can recognise it!) It often resembles a dockleaf. 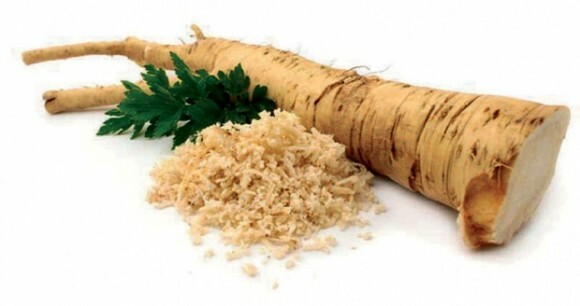 The root is the main medicinal part and has a strong peppery taste and smell. Leaves have a milder peppery flavour and are a great addition to salads. Anyone who knows wasabi… will recognise the flavour and smell. Full of benefits, particularly to the respiratory system as well as the sinuses. Naturally detoxifies the body and targets parasites within the digestive system too!